Sri Lanka, because of it’s strategic location, has been in the cross-hairs of many colonial nations over the centuries. In modern recorded history this includes the Portuguese, Dutch and English, all of whom left their mark on the country. There were several dozen such old forts constructed around the country, most of which have been destroyed or are in ruins. The most famous and interesting of those surviving (of the ones I’ve visited) is in the lovely southwestern city of Galle. The fort in Batticaloa is nicely preserved, as is the one in nearby Trincomalee, and well worth visiting. We spent a day in Batticaloa, a simple but pleasant city on the coast. The area is slowly recovering from the effects of the Civil War and the devastating tsunami that swamped the region over a decade ago. Batticaloa is less developed for tourism than many other parts of the country, a plus in my opinion. The city’s best-known tourist destination is the Batticaloa Fort The Fort has a lovely setting on an islet within the lagoons of Batticaloa. 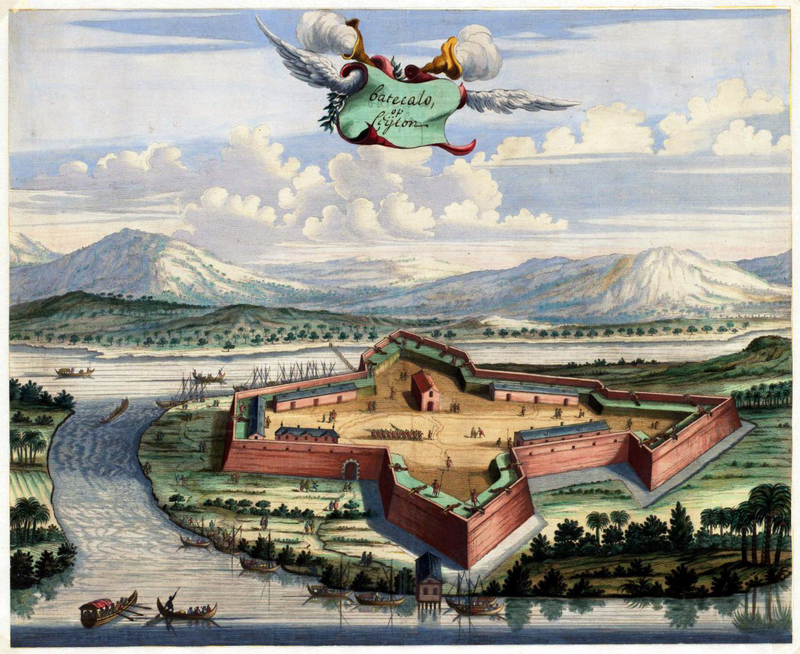 Unlike it’s name implies, the fort was orginally built by the Portuguese in 1628 as a trading and administrative center. It was captured by the Dutch ten years later in 1638 (at the behest of the King of Kandy, with whom they were trading). 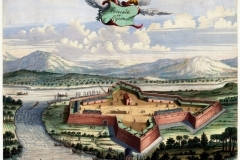 The fort was reconstructed by the Dutch and remained under their control for almost two centuries before being the British occupied the region. The fort was captured by the British in the late 18th century. The fort is a stone structure of four bastions, bordered on two sides by the lagoon and on two sides by a moat (which in olden times was filled with crocodiles, to whom prisoners were fed). While nearly 500 years old, the fort has survived in decent shape. Outside the fort you’ll find a few Dutch-era cannons, a summary of the fort’s history, as well as the mark of the Dutch East India company above the main entry to the courtyard. As you enter you find a complex of newer buildings (but which are still several centuries old) which are used today as government offices (District Secretariat of Batticaloa). There is a small Hindu temple and Buddhist stupa in the complex (which have a history dating to the first century AD), but there is little to visit on the ground level so make your way up the ramparts and walk around atop the fort’s walls to enjoy the details of its construction and its views. The scenes from the fort are lovely, as you can see below…a quiet lagoon with fisherman in their simple boats, two bridges, and the core of Batticaloa are all easily seen. If you take your time, you’ll likely spot crocodiles stealthily swimming in the lagoon. Accessibility Notes — Access is limited for persons with disabilities due to the steep stairway which provides the only access to the ramparts. Tourist services are not well developed at the site. Here then are some more photos of the fort….